We’ve been taking orders for the Latitude 6430u Ultrabook since October 23, and today, we’ll begin shipping those orders. It’s our first Ultrabook for built for enterprise customers.This lightweight Windows 8 machine shares the much of the clean design of our recent XPS products, coupled with the robust security and manageability features inherent to the Latitude brand that IT departments have come to depend on. The Latitude 6430u is a 14” (1366×768) WLED-backlit Ultrabook with a design that strikes the right balance between aesthetic appeal and business needs. While easy on the eyes, (the Verge even referred to it as "chic") the subtle black magnesium shell adds more than visual appeal—it helps extend the lifespan of the laptop more than other materials like aluminum or plastic. Take a look closer and you can see our new design features a magnesium alloy chassis wrapped with soft touch paint. This material may be familiar to those of you who are using the XPS 13 and some of the current Latitude laptops, as it lines the inside of the computers to give the 6430u a nice tactile feel and is really hard to smudge. And with reinforced hinges, a spill-resistant backlit keyboard and protective LCD seal, it’s hard to damage either the exterior or the interior of this Latitude. This makes the 6430u is the most durable Ultrabook on the market today, and the only Ultrabook designed towards MIL-STD-810G testing. That means this little guy is durable enough to last through the strict United States military standards. I know our design teams set out to make a business Ultrabook that feels solid and sturdy and after spending a little bit of time with one, I think they succeeded. To me it feels substantial without feeling heavy. At 3.7lbs with a standard 3-cell battery and only 0.82" thick, the 6430u is great option for road warriors who need to remain productive while travelling. When on the go, it’s clear that space and weight are critical factors (especially with current baggage fees), but so are performance and battery life. That’s why the Latitude 6430u is available with Intel 3rd generation Core i3, i5 and i7 processors the help achieve all-day battery life with up to 10hrs of operation (with the removable 6-cell battery). Memory comes standard with DDR3 SDRAM (1600MHz ) and has two slots supporting up to 2G, 4GB and 8GB DIMMs. Storage comes from a variety of options including solid state mSATA 64GB/128GB/ 256GB/ 256GB SED SSDs. Sometimes you can’t count on a reliable Wi-Fi connection, like during a big tradeshow or other event where there’s not enough wireless bandwidth to go around. In those cases, you need an Ethernet port or other options to download (or upload) large files. That’s why the Latitude 6430u is available with an Ethernet port, wireless LAN, Bluetooth 4.0 and mobile broadband options for connectivity virtually anywhere. It also features Intel Smart Connect and Rapid Start for fast access to data when you need it. To take advantage of those broadband options, the integrated microphone and HD webcam help ensure you’ll be ready for a seamless video conference experience when the time comes. It wouldn’t be a Latitude without the ability to dock. For me personally, I always have a Latitude connected to a big display when I’m at home or here at work. For the Latitude 6430u, be on the lookout for the Dell wireless dock, which will be the first wireless dock in the market featuring with 802.11ad Tri-band WiGig technology that will also enable a multi-gigabit speed of data, audio, and video wireless communication between 6430u and wireless dock. The Dell wireless dock provides high secure wireless connectivity and same level of usability as Latitude E-dock that I’ve been using with my Latitude. But as the workforce becomes increasingly mobile, IT’s job of having to secure both devices and content becomes more intricate and strenuous. 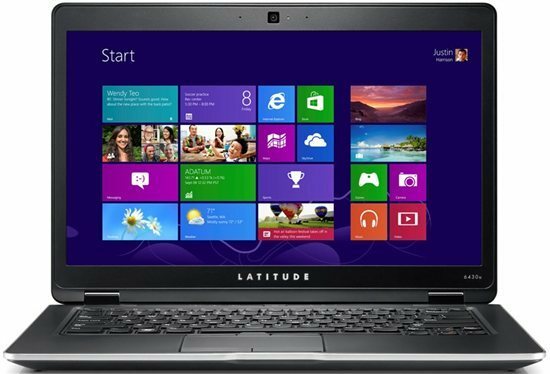 Building upon the tradition of Latitude being one of the most secure and manageable product lines around, the Latitude 6430u is world’s most manageable Ultrabook with Intel vPro and Dell unique extensions for out-of-band BIOS, battery and hard drive wipe management. Additionally, the highly secure Latitude 6430u comes with Dell Data Protection | Encryption, Trusted Platform Module (TPM), and an optional smartcard and fingerprint reader. There is a wide range of customizable service and support options from a global partner you know and trust. Coupled with end point solutions from Dell KACE or virtual and cloud solutions from Dell Wyse, no one provides as much end-to-end support for mobile professionals as us. When is the HD+ model going to be available? This would also be my question – the sooner the better!